Sahjonim (Grandmaster Kwang Choi) has spent over 30 years perfecting and refining his martial arts techniques and wowed international Instructors when he demonstrated step by step with explanation during Choi Kwang Do’s 30th Anniversary which took place in July 2017 in Atlanta, GA. Students and Instructors internationally gathered for a week-long event and celebrations during this time. 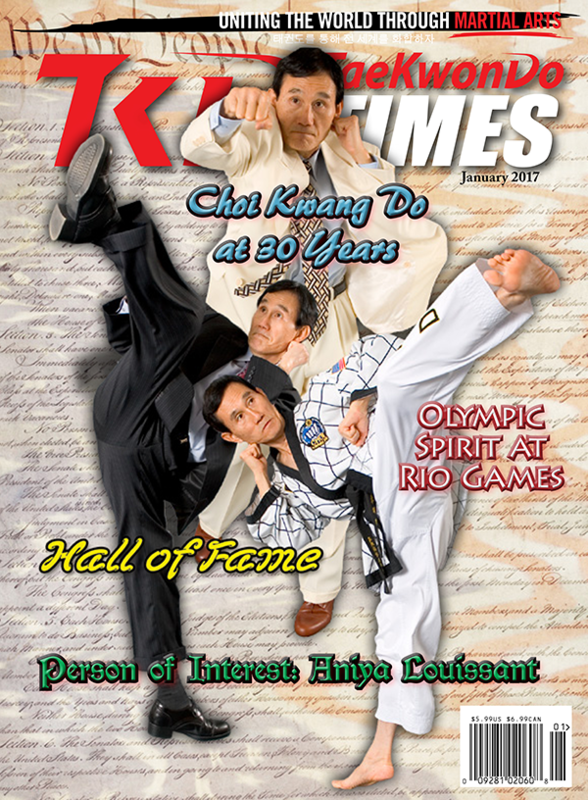 Sahjonim keeps Choi Kwang Do relevant and up-to-date by incorporating and improving CKD techniques, training and teaching methods. Now with science and technology advancing rapidly, CKD techniques can be backed up by science better than ever. The validity of the new methodology was embraced and applauded by the Instructors who learned and trained with the founder. The Dartfish program which is one of the tools Sahjonim is utilizing was introduced to instructors during the seminar week. This program captures detailed movements of the participant and analyzes it in slow motion. The analysis is compared alongside Sahjonim, identifying the areas of improvement that is needed. Once identified, the participant will be given instruction on how to improve their techniques. Sahjomin feels using the Dartfish program is one of the best ways for instructors and students to improve their techniques and skills. He has now finished and compiled the Dartfish database. This program will first be released to instructors. Alongside with using the Dartfish program, Sahjonim is excited to release an instructor training program he is currently creating. This training program will be online based where instructors can learn from any part of the world directly from the founder. This long distance training program will help instructors improve on every aspect of Choi Kwang Do such as techniques, skills and knowledge. In return, instructors will be able to teach their students better. For the past 30 years, Grandmaster Choi has been focused on spreading Choi Kwang Do by traveling and conducting seminars all over the world. Now he wants to shift his focus on teaching and improving the quality of CKD instructors. This program will be available in the near future. The 30th Anniversary celebration was a success and Sahjonim really appreciates everyone who attended and supported this great event! Grandmaster Kwang Jo Choi, 9th degree black belt, has been consistently training in the martial arts for over 60 years. 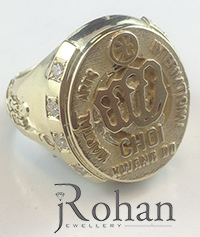 For the last 29 years he has been in the forefront of the latest scientific technology called Choi Kwang Do. His creation is able to assist people to achieve optimum health and practical self-defense. He created a new martial art system specifically designed to counteract negative aspects of traditional training which is still practiced all over the world. 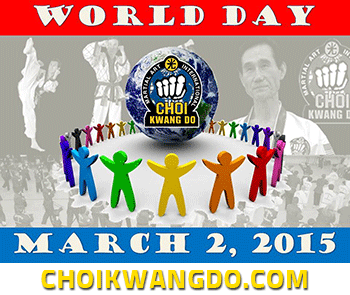 Advocates of Choi Kwang Do praise its new approach but traditionalists have another view. For those of us who are very fortunate to be associated with CKD and training with the founder himself is a genuine joy for self improvement. Gone are the days of unnecessary tension in training which in itself can be detrimental to the practitioners' health. We understand that CKD is not like any other martial art and we are extremely pleased to be training in the latest scientifically designed techniques. Many senior martial artists world wide who has been taught by the founder has been impacted and changed their lives forever. They carry with them the techniques that has shaped and improved their martial art careers. This is your personal invitation directly from the founder to come and experience martial arts excellence and see for yourself the uniqueness of Choi Kwang Do. The celebrations will be held at the home of CKD in Atlanta, Georgia, USA. Preparations are under way to make sure that all our members, their families and instructors enjoy and learn from the greatest martial artist of our time. July 2017 will be a very busy time in the Atlanta especially with the new Atlanta Braves baseball stadium coming to our area. Hotels will be booked up very fast. Therefore, please make reservations as soon as possible in order get desired accommodations as well as best pricing. Click here to take you to the registration site or click on image below. Hundreds of Affiliated Schools Worldwide! ©2018 Choi Kwang Do Martial Arts International, Inc. All rights reserved.